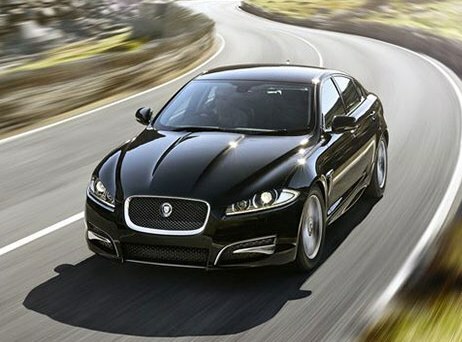 Alongside of the XFR-S Sportbrake, another Jaguar hit the R will be present on the stand of the brand in Geneva: XF-R Sport. The style more dynamic intended for the least powerful versions. Following the example of its competitors offering R-Line, S-Line, Pack AMG or M Performance line, Jaguar will begin its line called R-Sport. This is the XF that opens in a version for the moment only available with the 2.2-liter diesel of 163 hp (400 Nm), with automatic 8-speed transmission and Stop & Start. An engine which boasts 129 g/km CO2 emissions. For style, this R-Sport gets the shield of “aero package”, rocker panels and rear spoiler, as well as new 17-inch wheels (18 option). Inside, dark atmosphere of rigor, with joint upholstery fabric/suedine, and entirely black cabinetmakers. The headliner also black can be replaced by a gray sky, while the decorations will be the choice in black lacquer, carbon fiber or dark wood.